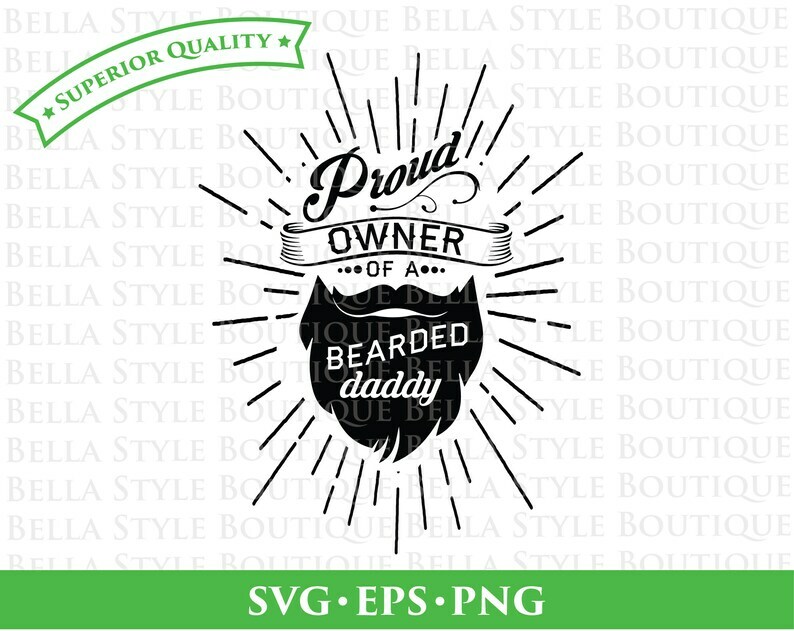 Proud Owner of a Bearded Daddy SVG PNG & EPS Instant Download. 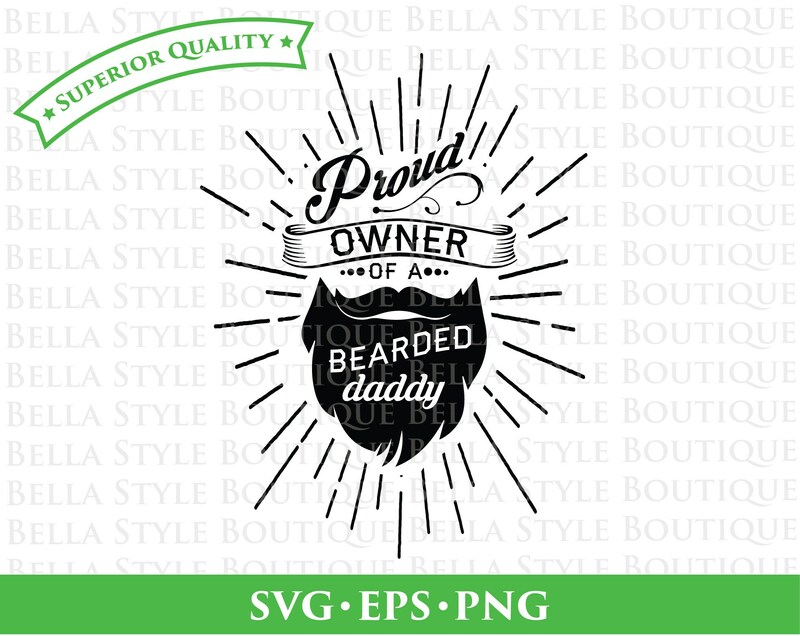 Digital Vector Cut File for Electronic Cutting Machines (Cricut, Silhouette, etc) used in making vinyl decals, wood signs, paper crafting, and iron-on. Cute design! Made a onesie for a baby gift!